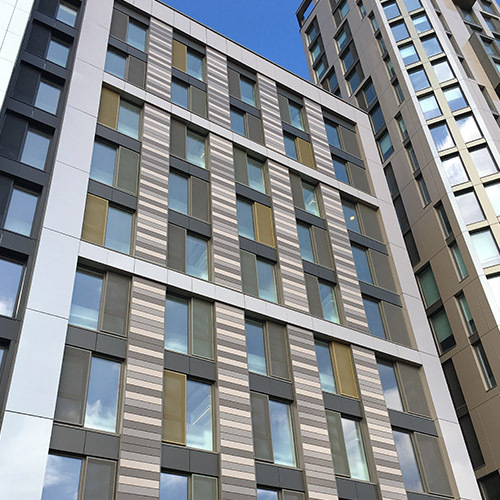 Located in the Borough of Hammersmith & Fulham, previously the location of the old Savoy Theatre and vacant since the late 90’s, the HTA designed student accommodation block will be constructed using modern building methods utilising prefabricated volumetric modular units manufactured off-site by Vision Modular Systems. Aluminium windows were installed by Century Facades Ltd at Visions factory. 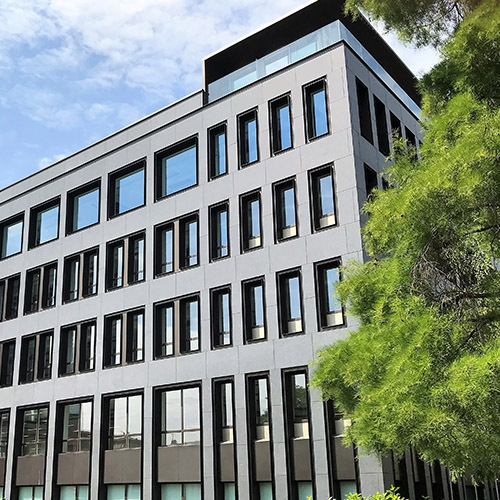 Century Facades has been appointed by Tide Construction to carry out the complete design, supply and installation façade package including curtain wall, doors, brick slip cladding, and all associated feature metalwork items.